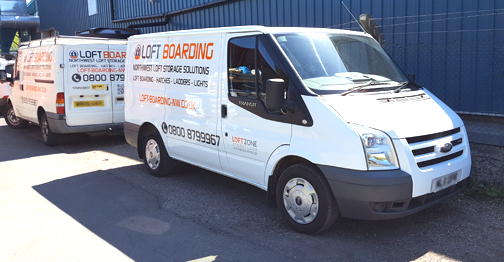 Manchester Loft Boarding is a division run by UK Loft Boarding Ltd and started as a property maintenance company established in 2010 run by a husband and wife team, Andy & Andrea Greenhalgh. They spotted a gap in the market for a quality loft storage specialist, plenty of mediocre companies doing cheap and cheerful loft boarding but not someone who actually cares about retaining or improving your homes energy efficiency. The workmanship, the quality, was just poor and it needed a company who could fill the high quality and energy efficiency demands customers want today. So in 2010, they started a loft boarding business. 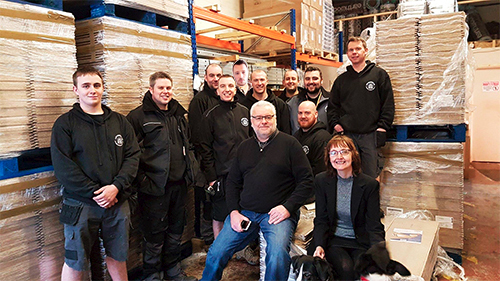 From humble beginnings running their business from a just tiny back bedroom to now operating from over 4000sft offices and warehouse in the Northwest employing 26 people and installing in excess of 3000 loft storage systems a year. They are going from strength to strength, expanding in to Yorkshire and other areas of the UK. They are always ready to help you create a safe strong top quality storage area in your loft. UK Loft Boarding Ltd is a dedicated company to energy efficient loft storage solutions. Not only do they specialise in loft storage and insulation they install the most energy efficient loft hatches combined with top quality loft access ladders. Since 2010 their area of coverage for loft boarding has grown considerably, and in 2018 they now cover pretty much 90% of the Northwest of England and 100% of Yorkshire. How did they get to be so successful? Well, quite a few reasons really. UK Loft Boarding pride themselves on only using the best quality materials they can source, and the installations are always consistently to the highest standards possible. They will never cut back on quality or quantity just to compete with non-compliant companies, it really isn't worth ruining their reputation as the North's leading loft storage solutions provider. Their reputation as a loft storage company is second to none, they set the bar when it comes to standards. They recently conducted some research into other companies to check out these facts and the results were no surprise really. UK Loft Boarding are the largest and most professional installer of loft storage products and solutions in the North of England, and soon to become, (if not already) the UK's market leader. They now install breathable roof liner to stop dust continuously falling down on your stored items. They can also help with heat and fire protection from hot ceiling spotlights in your loft by installing heat protection covers. They also build mini loft rooms or luxury storage rooms for light use which can be used for things like studying, chill out, hobby, home office, etc. They also provide approved electrical services for your home or commercial premises. From the minute you call or email our professionally trained advisors will be ready to help you. From the information you have given we can determine what will most likely be the best loft storage solutions for you. We have our very own bespoke enquiry management software which helps our advisors keep a track of every process you are at right through to installation. You will be sent relevant information on your requirements pending an appointment with one of our loft storage surveyors, who will provide a detailed on-site written quote. This quote is a fixed price quote so no hidden extras, the price we say is what you pay. The surveyor will present you with a presentation pack with loads of information on loft storage and the solutions we can provide. So you know exactly how we do things and how different we are compared to others in the same industry. We can't help it! Being a market leader we have to take ourselves very seriously in this industry so that you, the customer, get a quality job at the right money. At any stage you are not under any obligation to accept the quote, all we ask is to compare like for like, and if you have any questions please ask, we are here to help. We also guarantee we will beat any LIKE for LIKE quote, this is providing they are using the same make and model of materials, not cheaper inferior products and the same method of sub-frame system. If you accept the quote we will book you in for the installation at your convenience, and as soon as possible. On the day you will be greeted at your home by uniformed, well turned out installers arriving in liveried vans and they will be carrying photo ID. They will use protective boot covers and sheeting in the working areas so to protect your carpets from any dust and debris. Once they have finished they will clean up and give you a full demonstration. We do advise that the person requiring the work attends on the day of installation so you can receive the full demo and instructions on your new loft storage solution. Any issues occurring in the next 5 years just simply call us on 0800 8799967 and we will get one of our service vans to call to take and look and sort out any issues. The staff at UK Loft Boarding work hard, and are highly skilled in their field. They are committed to providing the best service and the best quality work. They always take care in your home and will always cover up all areas they are working in with protective sheets. Including stairs and landing areas. Everyone at UK Loft Boarding is trained to the highest standards and will always be there to help with your enquiries. From your initial enquiry to surveying, installing and customer service we are always courteous and helpful. It is very important to UK Loft Boarding that each member of the team is fully trained and their training is updated on a regular basis to keep up to scratch with the latest boarding techniques, products and regulations. Any new staff joining us are subject to 6 - 8 weeks of training on-site working with other qualified installers and in the classroom until they are proficient in the art of loft storage. Once they achieve this they sit an exam to qualify as a LoftZone installer. I bet you're thinking right now that this seems all a bit OTT for loft boarding? Well no we are just serious about what we do and we are setting examples to other loft boarding companies across the UK. 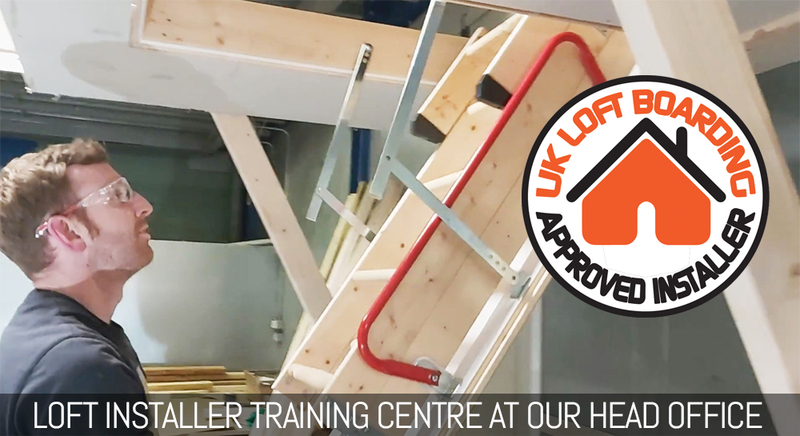 Our proven training program and skilled workforce is what made us the market leaders in loft storage solutions in the North of England. As simple as boarding a loft may seem, we are still part of the building industry, so have to adhere to rules and regulations just like every other good building company. We regularly hold seminars and training days so we can all get together and talk about what products are best, and what are the best techniques for designing and installing sub-frames for boarding. We keep bang up-to-date with health and safety and make sure all our staff have their full PPE kits, fire extinguishers and first aid kits in their vehicles. "We live and breathe lofts, we just can't help it." We also work to all building regulations and comply with the latest health and safety requirements and guidelines where applicable to our trade. Andy Greenhalgh, the managing director commented, " I come from an old fashioned self-employed background. As a child, I watched my parents perform in their business giving great customer service and never giving in to selling cheap alternatives to compete. They had one of the best reputations in Lancashire for quality products and great service. Because of this, I carried this tradition on into my business, I believe in being honest and giving the customer the best quality products and a great service at the best possible price." 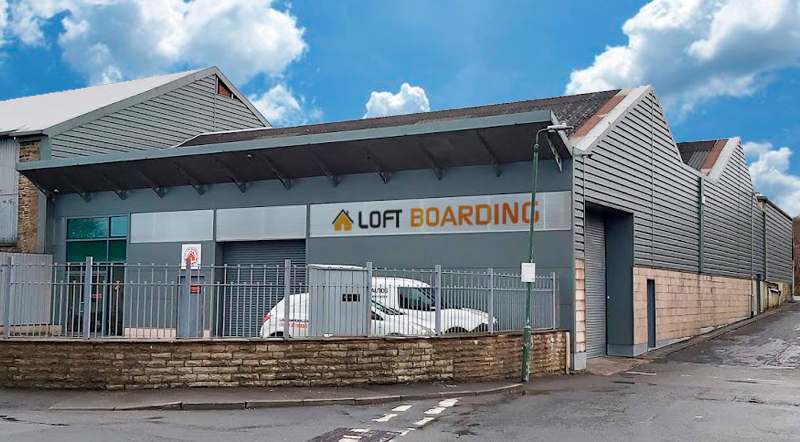 Loft Boarding NW joined forces in 2014 with the manufacturer of one of the main loft storage products the company uses in 80% installations.